International students enrolled at Valley View Secondary School are supported by a committed team of staff. An orientation and pastoral care programs enable us to build strong relationships with students, parents and homestay families to ensure the positive engagement and successful achievement of all international students. This creates a welcome and supportive environment within the school community. Students enrolled at Valley View Secondary School Study Abroad Program can study for 1, 2, 3 or a maximum of 4 terms (1 year) at our school and stay in homestay accommodation. Study Abroad students can choose subjects from an academic or experiential program to meet their individual learning goals and interests. 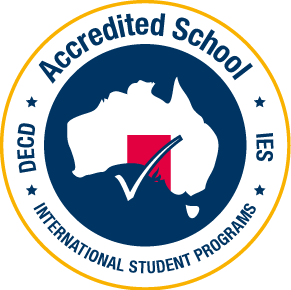 For further information please visit the International Education Services website and express a preference for Valley View Secondary School. If you are a local family interested in hosting a Study Tour student, please contact Peter Evans via email dl.1184.info@schools.sa.edu.au or by phoning 8360 6111.